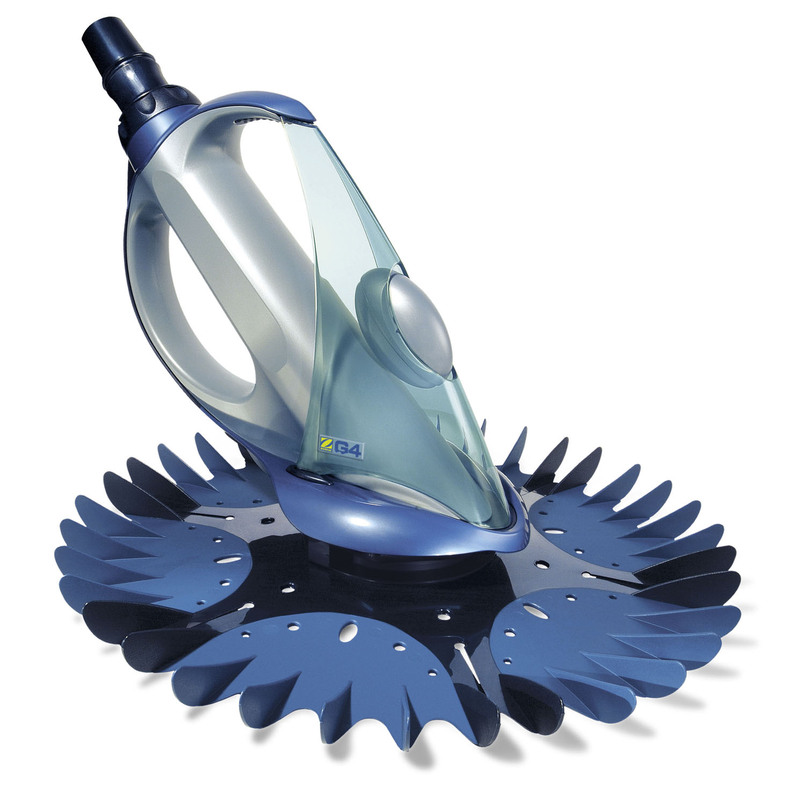 The Baracuda G4 is built on Baracuda's long history as a global leader in automatic pool cleaning technology. The Baracuda G4 connects to a dedicated cleaner (suction) line or a pool skimmer. As water flows through the cleaner, dirt and debris are pulled directly into the pool filtration system. To help prevent suction entrapment accidents, wall vacuum fittings should have a safety vac lock installed. Contact your builder or retail pool professional for details. Clean the skimmer basket, pump basket and pool filter before installing the Zodiac cleaner and on a regular basis thereafter. Always disconnect the cleaner before cleaning or backwashing the pool filter. After cleaning, let the filtration system run for at least five minutes before re-connecting the cleaner. Remove the cleaner from the pool before chemical or shock treatments.Wait a minimum of four hours after super chlorination before re-installing the cleaner. 1. Ensure ideal flow is attained using Pool Pulse. 2. Check diaphragm for damage or wear. 3. Backwash filter and empty pump basket. 4. Check for air in system. If water level in pump basket drops, check hose connections, tighten all fittings at pump, check gasket in pump basket for wear. Note: In water 60°F or less, it may be necessary to increase flow to compensate for the reduced flexibility of the hose and diaphragm. 1. Confirm proper hose length. Shorten if necessary. 2. Use Flow Gauge or Pool Pulse to verify proper flow. 3. Use return jets to guide cleaner. 4. Install Large Wheel Deflector (part# W46155). 2. Point return jets as far down as possible. 3. Check hose for kinks or coils. Lay hose in sun for a few hours to straighten. 4. Confirm proper hose length. 5. If hose weight is installed, verify correct positioning, 60 inches (1.5 m) from cleaner. Zodiac G4 stays on walls or edge of pool. 1. Use Flow Gauge to verify proper flow. 2. Install hose weight 60 inches (1.5 m) from cleaner. 3. Confirm proper hose length. Shorten if necessary. 4. Use return jets to guide cleaner. 1. Check flow rate with Pool Pulse. 2. Remove ladder if possible. 3. Install ladder guard (order part# G21 from Zodiac dealer).